A Scottish whisky distillery has sent its malt where no whisky has been before – into orbit above the Earth. 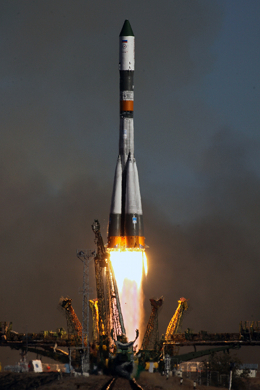 The unmatured malt rocketed to the International Space Station on a Russian Progress cargoship in October last year to start an experiment on what microgravity-matured whisky might taste like. The experiment, announced at the Edinburgh International Science Festival today, teams whisky-makers at the Ardbeg Distillery with boffins from US space research company NanoRacks to test the interaction of the unmatured malt molecules with particles of charred oak in near-zero gravity conditions. Malt for whisky contains compounds known as terpenes, chemicals that are widespread in nature and "very aromatic and flavour-active". These and the other malt molecules will interact aboard the ISS as well as in two control experiments on Earth – one at the Ardbeg Distillery on the Scottish island of Islay and the other at NanoRacks in Texas. 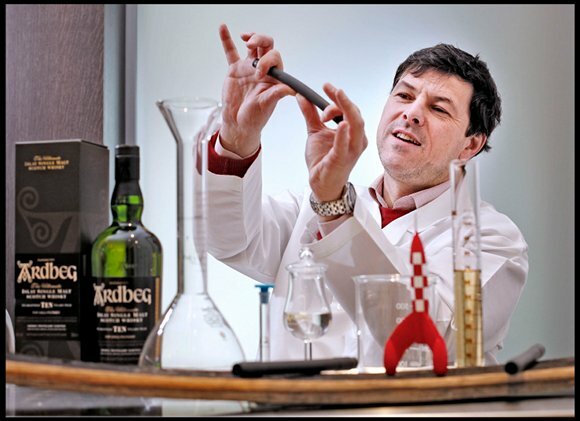 "By doing this microgravity experiment on the interaction of terpenes and other molecules with the wood samples provided by Ardbeg, we will learn much about flavours, even extending to applications like food and perfume," said Michael Johnson, chief technical officer at NanoRacks. "At the same time it should help Ardbeg find new chemical building blocks in their own flavour spectrum." On the boffinry side, the experiment wants to find out more about the workings of large, complex molecules during their two years on the ISS and in particular, how they are affected by close-to-zero gravity, but whisky-lovers will no doubt be hoping for the first bottles of space-distilled malt. "This experiment will throw new light on the effect of gravity on the maturation process," head distiller Bill Lumsden said.